Now I admit Patong Beach is not my favourite place in Phuket... I hardly ever go there unless I have to, BUT although this blog is called "Jamie's Phuket", one must concede that many people stay in Patong and many people like to stay in a "lively" location with plenty of bars, shopping, restaurants, Starbucks, banana boats and tailors. Not everyone likes the quiet places, so ... if you DO like Patong, there are some good hotels, indeed some excellent hotels. 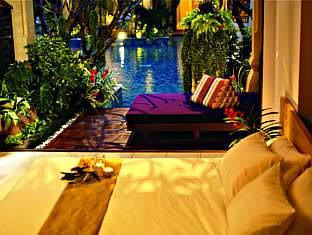 The Burasari is quite a fancy boutique resort with about 180 rooms of different styles and sizes. 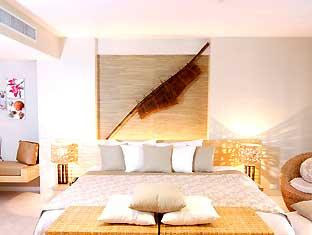 High season rates from 4,000 - 10,000 Baht/night. Low season you can stay for a little over 2,000 Baht! There are many different room types from Classic to Premier and Elite. Then you have the individually designed "Mood" rooms which are huge and have names such as Mocha Spice, Sweet Dream, Serene Sand and Blue Breeze. 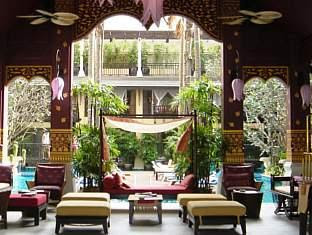 Patong is outside, but when you are in the resort with several pools, mini waterfalls and gardens, it's very peaceful. 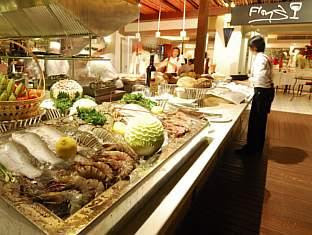 The Burasari got a huge boost in 2008 when Keith Floyd, the wine loving TV chef opened Floyd's Brasserie in the resort. Looks great, and if I was feeling rich, I might just go one day!